Honolulu, Hawaii — Hawaii’s First Family of running notched another victory today as 33-year-old Eri MacDonald won the third edition of The Hapalua, Hawaii’s Half Marathon in a unique Chase format that pitted the top island runners against three invited world-class runners from Kenya. Beginning 21-minutes ahead of Patrick Makau and Peter Kirui, Eri ran 1:25:21, which adjusted to 1:04:21 at the Kapiolani Park finish. 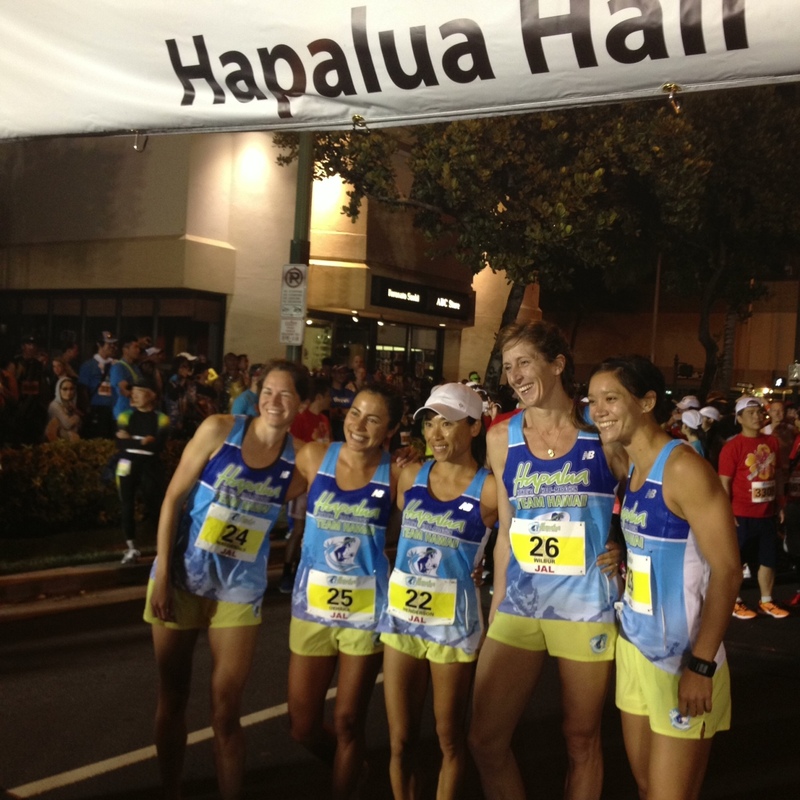 That was enough to complete the 13.1 mile loop 29-seconds ahead of Big island runner Rani Henderson, 38, a three-time Honolulu Marathon Kama’aina (island) champion who began in the same group with MacDonald. The victory garned a $5000 first-place prize. Long-striding Kenyan star Peter Kirui came roaring from behind to catch all but the top two. 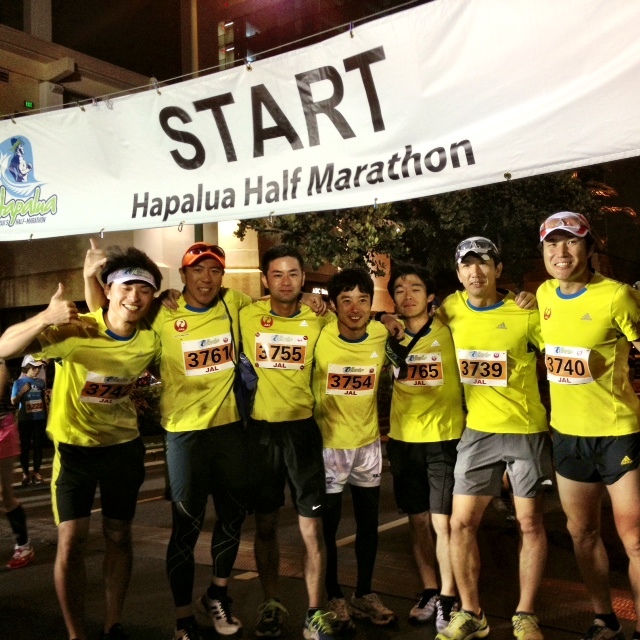 He posted a gun time of 65:45 over the Honolulu course which included two climbs of the Diamond Head crater in the final 6km.